QM Resorts has been presented with numerous awards from Interval International, the BBB, and many other prestigious travel industry institutions. 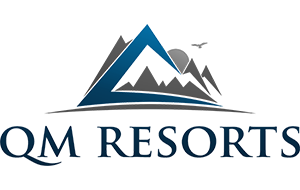 QM Resorts was founded by Foster Mullen in 1986 offering families like yours new opportunities to travel and enjoy spending time with your loved ones. We began by offering vacation ownership at the Thunderbird Resort Club in Sparks, Nevada. We have since expanded and now offer a variety of properties in Northern Nevada and Lake Tahoe as well as offer a host of complimentary services including sales and marketing, reservations, front desk, maintenance, groundskeeping, housekeeping, finance, title, resort management, and construction.